Want to win Christmas with your favorite Fortnite fan? 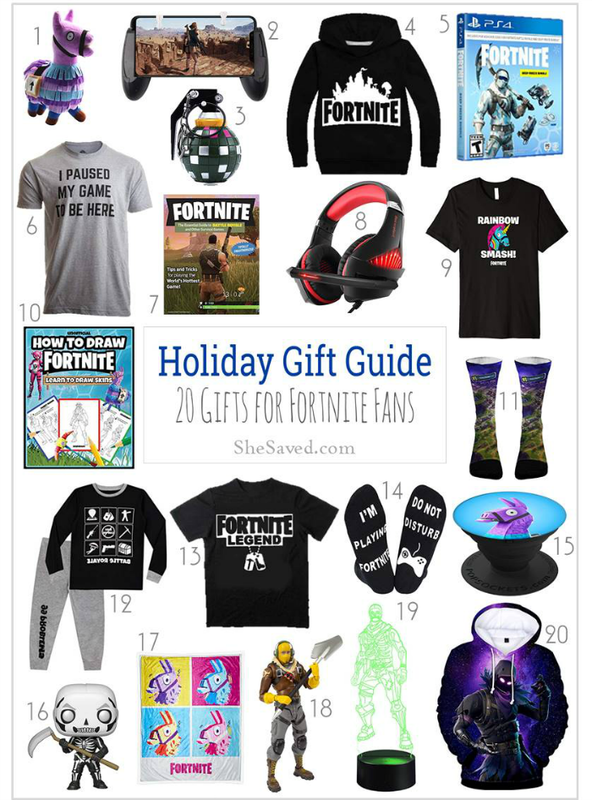 This list of great Fortnite gift ideas is sure to be a huge hit with any Fortnite player and even better, I’m sharing a huge round up of price options so you’ll find everything from stocking stuffers to main gift ideas! One thing that makes Fortnite fun is that it’s fan base spans a huge age range, and most of these gifts can be enjoyed by Fortnite fans young and old. You don’t even have to understand the game to know that any of these fun gifts will be a win. Want to get really creative? Wrap your gift creatively and present it as a “supply drop” and your favorite Fortnite player will get the biggest kick out your thoughtfulness. If you really want to challenge your favorite player, send them on a scavenger hunt looking for their gift because as we know, Fortnite fans just love adventure! « *CRAZY HOT* US Weekly Magazine only $9.95 per year!